Hot Toys have released pics of the upcoming Toy Fair 2015 Exclusive also available on display at SDCC 2015 right now and over the weekend. Check out official details and pics below and if you are at SDCC 2015 be sure to check it out live at the SideShow booth! 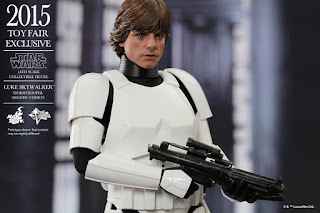 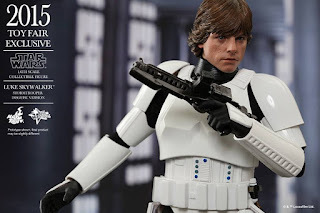 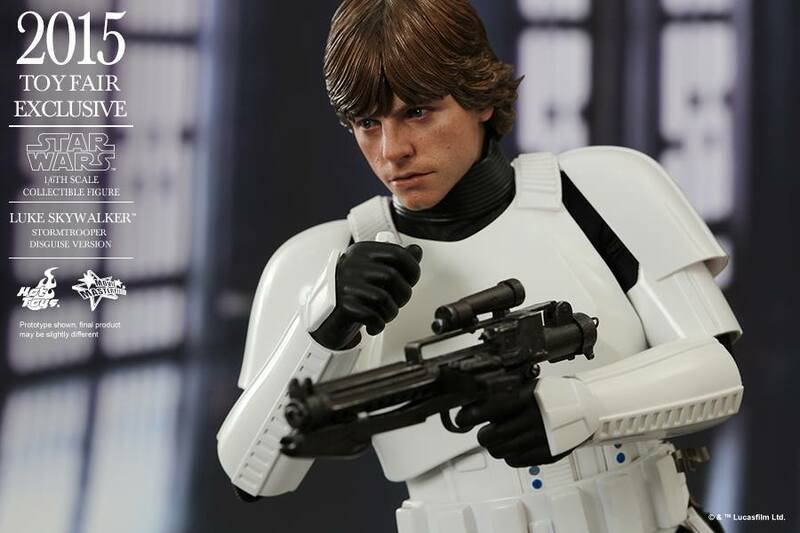 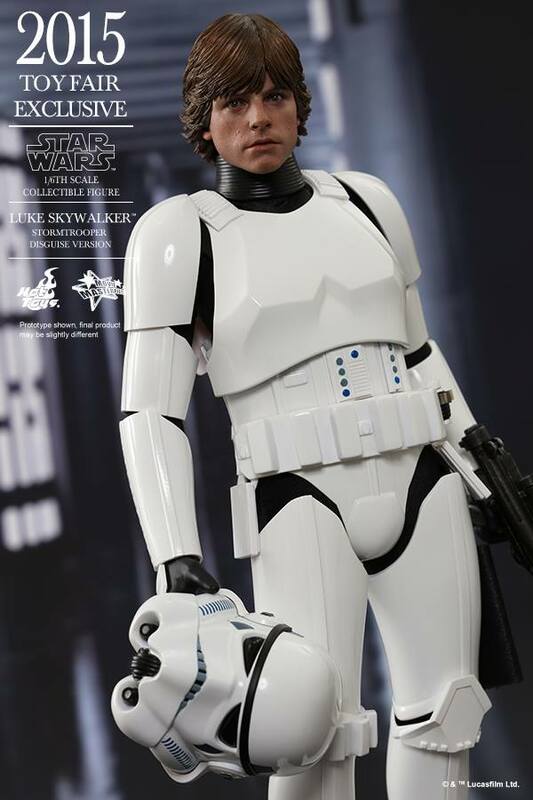 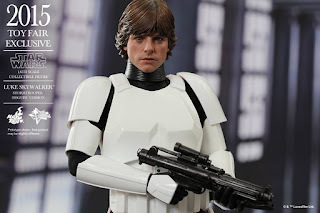 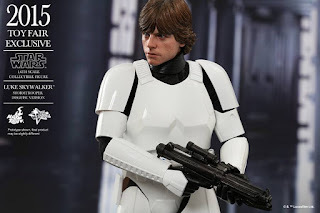 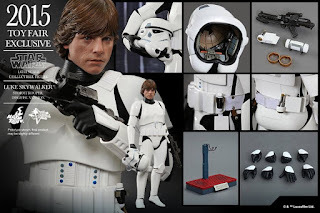 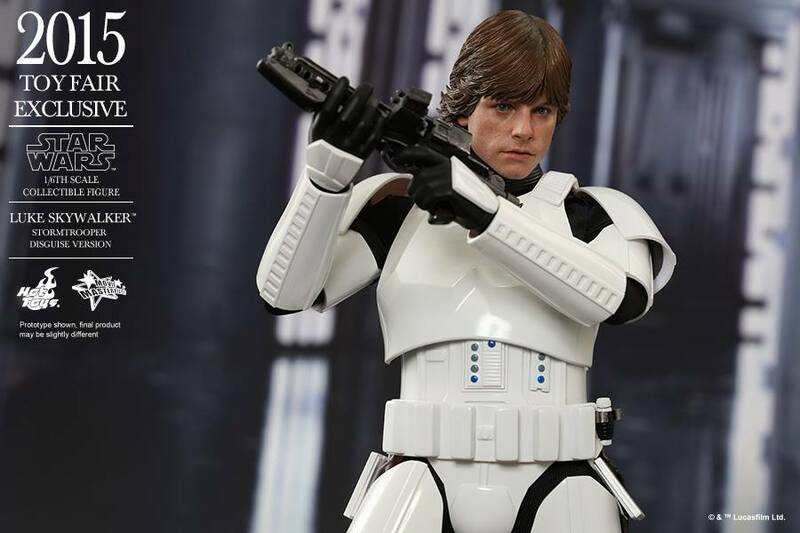 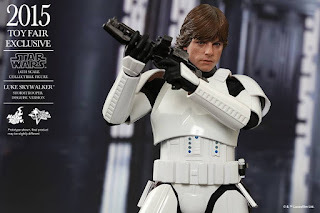 The movie-accurate collectible figure is specially crafted based on the image of Mark Hammil as Luke Skywalker disguised as a Stormtrooper in Star Wars: Episode IV A New Hope. 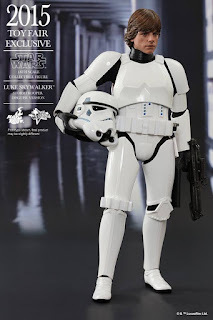 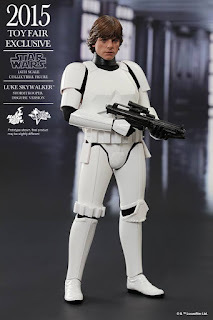 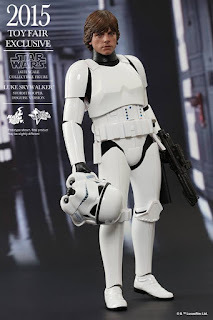 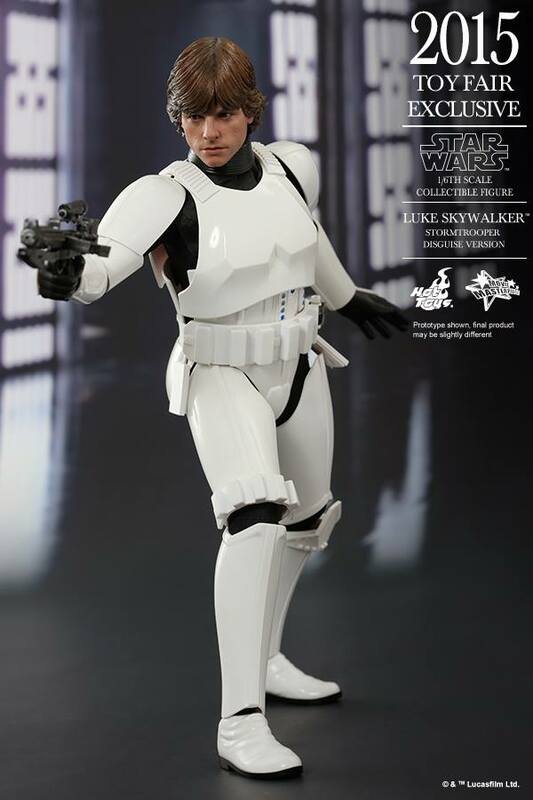 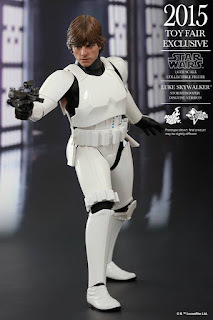 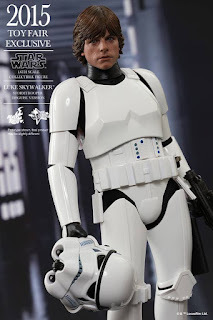 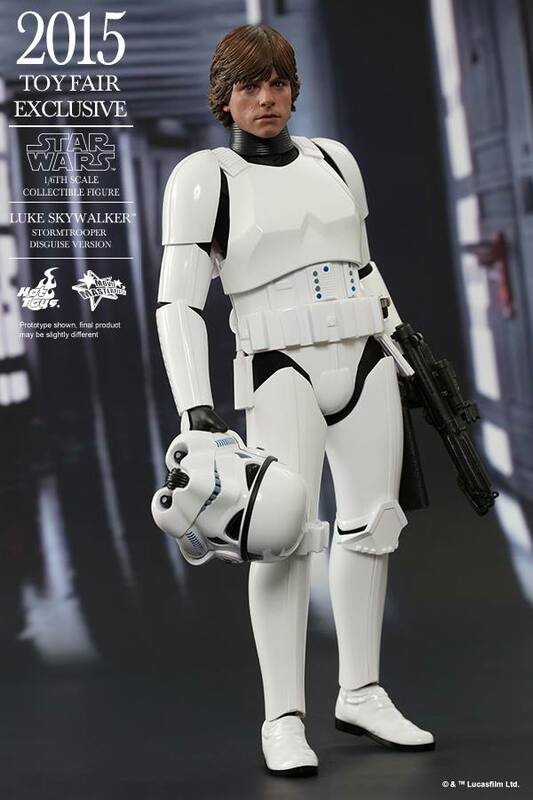 It features a newly painted head sculpt, specially tailored Stormtrooper armor, an interchangeable Stormtrooper helmet with mechanically detailed interior, weapons and accessories, and a figure stand.